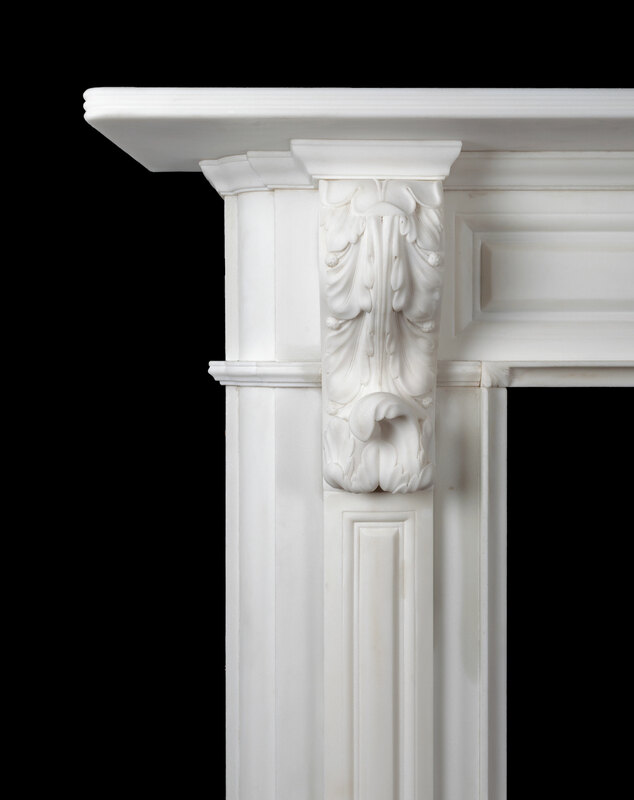 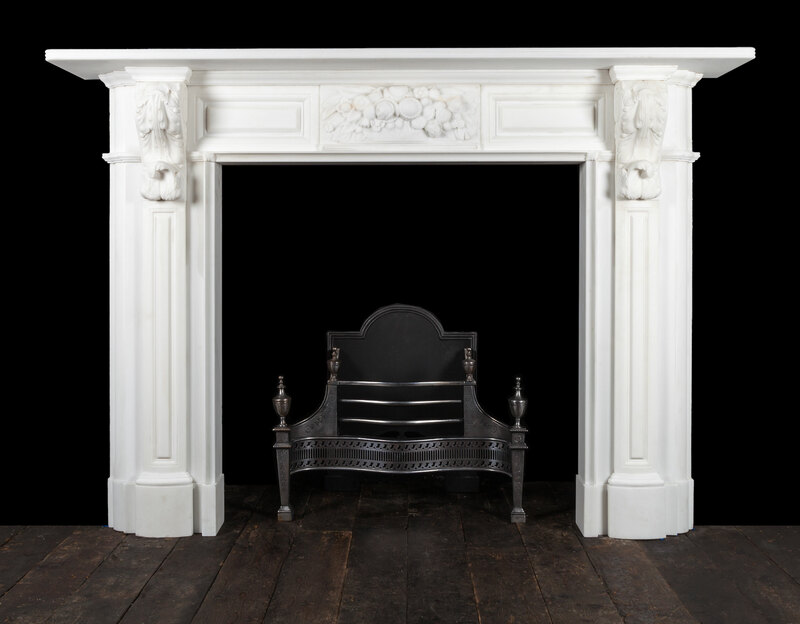 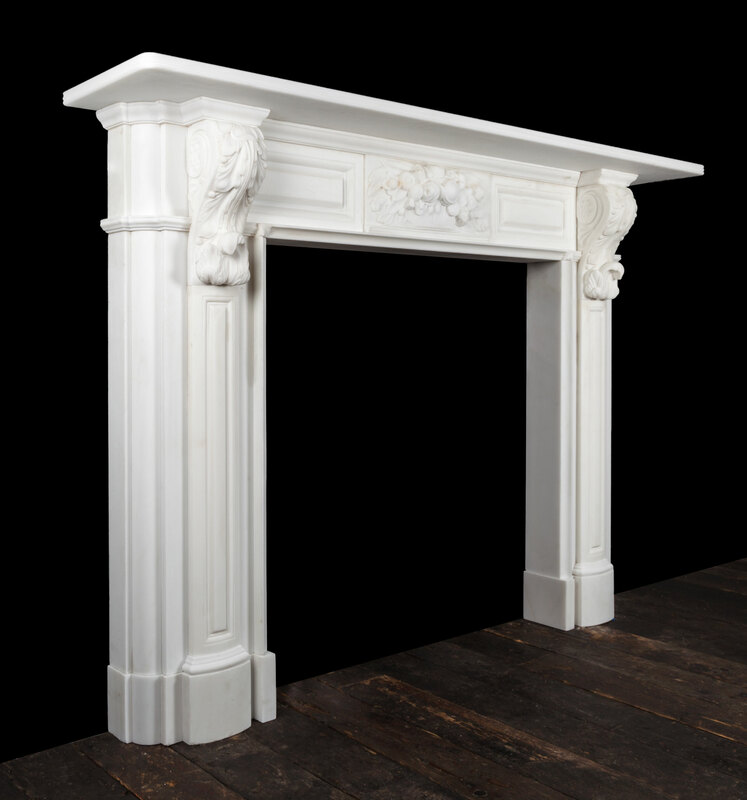 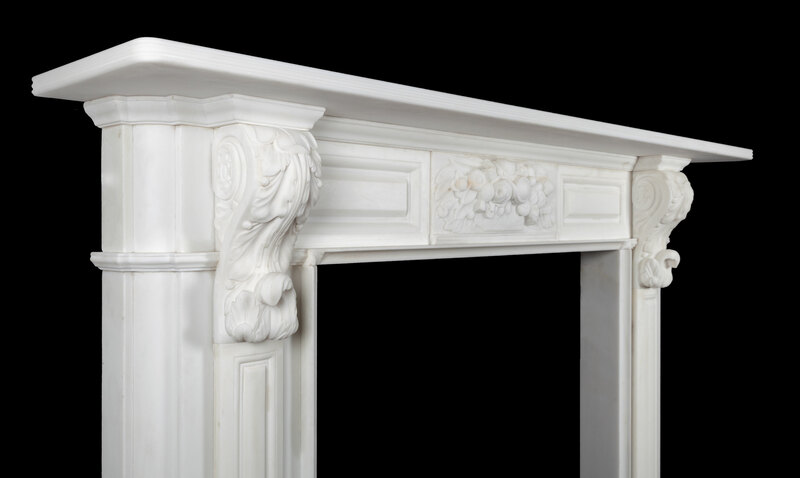 A beautifully carved and well proportioned large white marble fireplace, with carved acanthus bracket corbels and basket of flowers centre plaque. 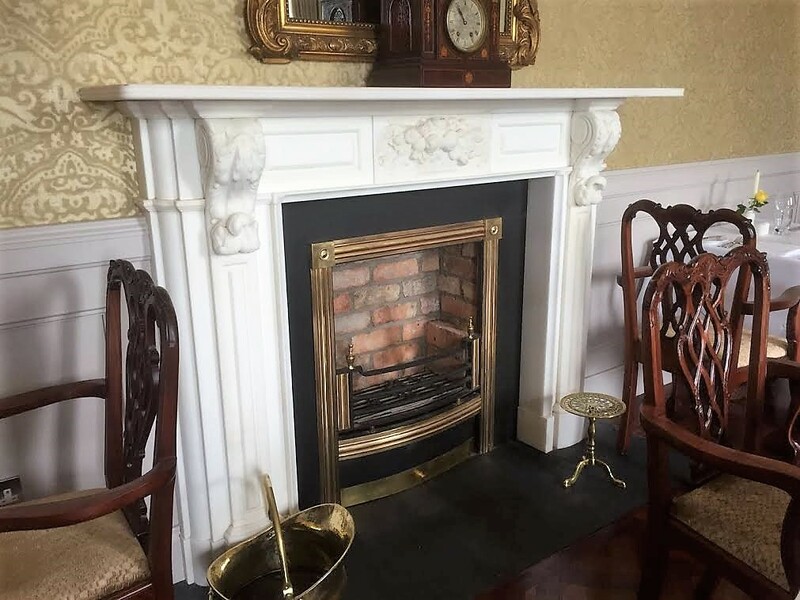 This style of fireplace is found in the finest Dublin townhouses of the early to mid 19th century. 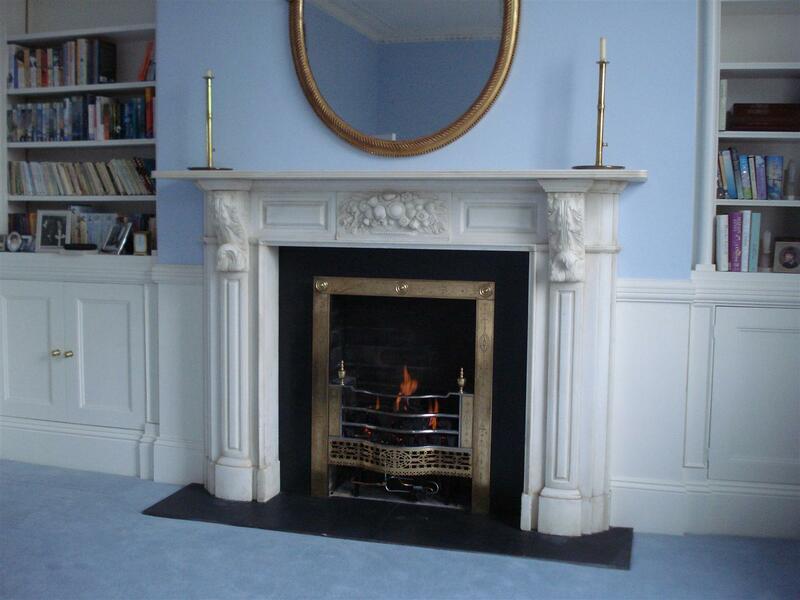 A transitional style between Regency and Victorian. 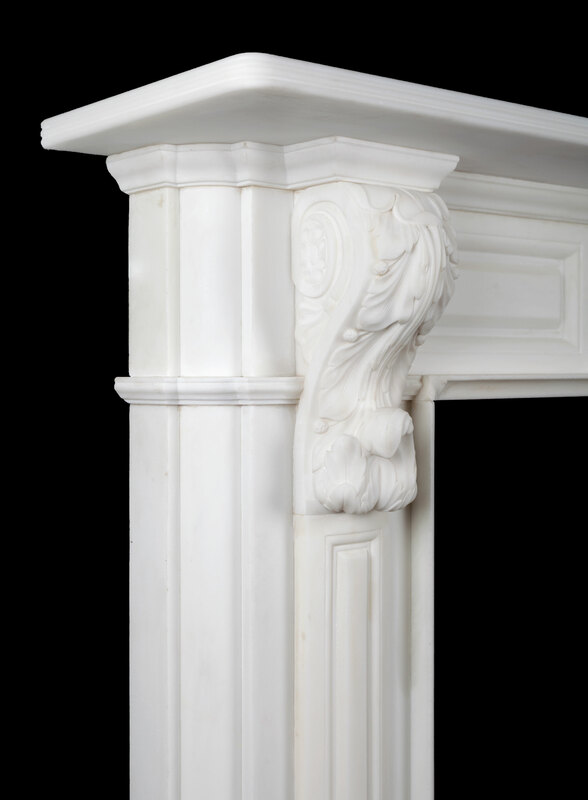 Example pictured with a matt antique finish.